After a recent overnight field trip with my son, I felt I’ve already met my camping quota for the year. But what I do for my son, I try to do for my daughter. So I set off for Scout camp with my daughter. I would be going as a mom, not a chaperone, and besides, this overnight Daisy Scout trip offered horseback riding, something neither of us had ever done. After seeing our accommodations, I quickly rethought my evaluation of my previous cabin experience. I may have had to use a bathroom stall with my legs angled a dozen different ways, but it became clear that I had been pampered. 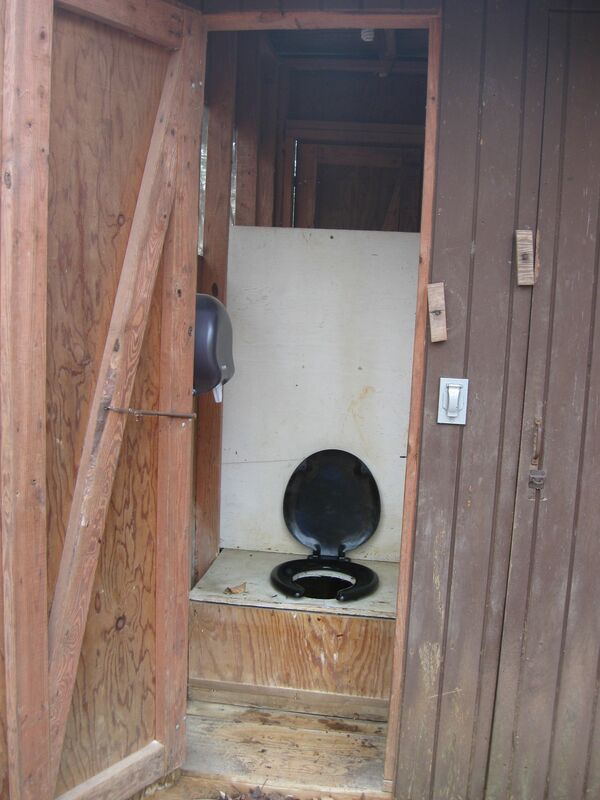 Those bathrooms were five-star compared to what I experienced at the Scout camp: an outhouse. Not all cabins in the woods are charming. I have camped at campgrounds equipped with bathhouses. I’ve put up a tent in the woods where nature was our bathroom. But an outhouse has many factors involved: no lights, bugs, and, well, bugs. It didn’t matter that someone put a toilet seat over the wooden hole. You just can’t fancy up an outhouse. And if you go into an outhouse not wanting to touch anything, as I did, you close the door and realize how tiny the space really is and how ridiculous that notion is. One needs clever balance and maneuvering just to fit without brushing the walls or falling into the pit. And I’m pretty certain “Little Miss Muffet” was actually written about a girl in an outhouse and not someone eating. How terrifying it is to be caged in and turn your head to see a spidey creeping down one wall and a patch of red and black hatchlings on the door. The outhouse never saw me again. I don’t sleep well while camping. Nature can be so freaking loud. I much prefer the hum of electricity or my husband’s breathing to a chorus of strange what-the-heck-is-thats. While I lay there at 2 a.m. hoping a raccoon wouldn’t crawl through our ripped cabin screen, I realized I wasn’t the only one awake. Dogs barked, geese honked, crickets chirped, frogs croaked. From what I know, some of those animals are not nocturnal, right? A thud announced my daughter falling out of bed. I sleepily scrambled to get out of my sleeping bag as she tried to climb in bed with a bunkmate. At least the kids could sleep through nature’s hysteria. 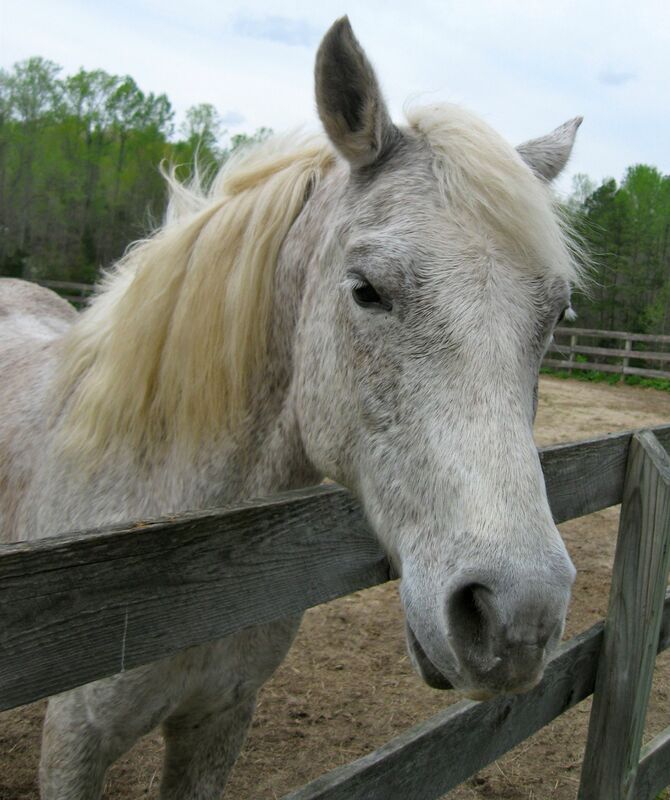 The next morning, I took a turn on a horse named Tuffy. While the other moms easily made their horses enter the ring and circle the barn, mine stood there ignoring my commands. I wondered whether he had a rough night too or whether he was actually part mule. I just crossed my fingers that he wouldn’t throw me off. He knew he had a first-timer and I had to work for my ride along the wooded trail, making kissing sounds, squeezing him with my legs, and prodding him with my heel to get him going. He trotted slowly behind the other horses most of the way, then finally caught up and tried to pass one. I think he was checking to see whether I knew my commands. Thankfully “whoa” comes naturally to someone on a speeding horse. Not the stubborn horse I rode. This one liked to give kisses. Now I am officially bunked out, cabined out, camped out, and tired. And I promise to never complain about my bed or my toilet again.